I’m excited about this next feature, because I don’t get to feature many hybrid campers. 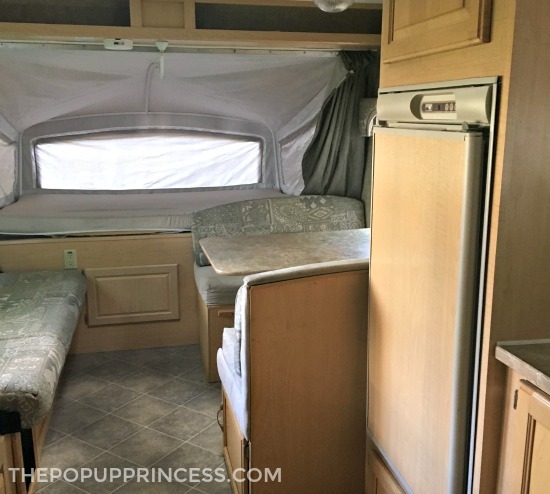 Most of my readers love the pop up way of camping so much, that if they end up parting with their remodeled campers, it is usually for another pop up project. 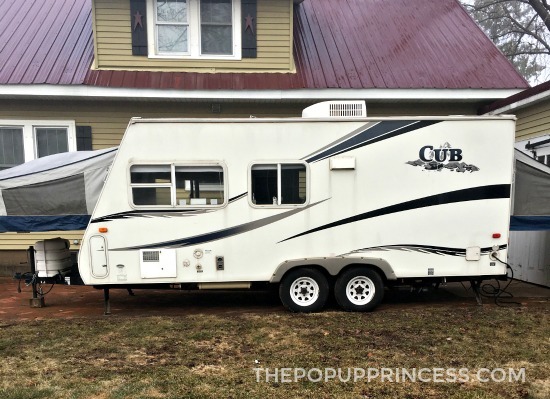 Every now and again, though, I come across readers who love camping in their PUP but just need a few more amenities. 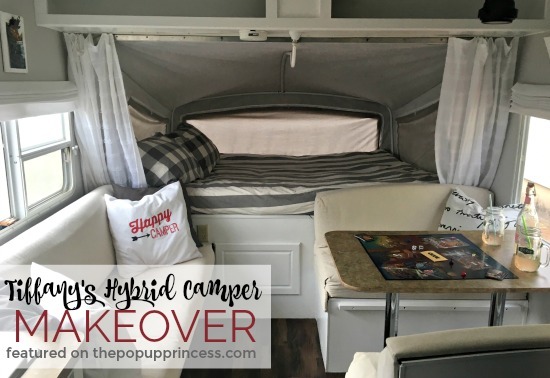 Enter the hybrid camper. Tiffany and her husband, Chris, bought their first pop up camper, Bertha, as a starting out point to see if they even liked camping. 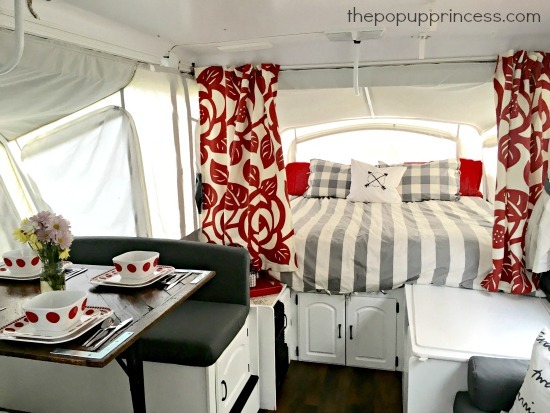 They had so much fun remodeling Bertha–which was featured here back in 2016–and camping in her that they knew they couldn’t give up camping. They did need a few more amenities, though, so they decided to upgrade to a bigger camper. Their “new” used hybrid had some issues, but they got it at a great price. It had water damage in the floor by the doorway, and the front bunk end had some water damage as well. This did not scare them away because Tiffany says Chris can fix just about anything, so they were confident they could make the repairs on their own. Tiffany and Chris went to work right away fixing up Dutchy. They had camping reservations for their daughter’s birthday in a few weeks, so that served as their deadline. Chris fixed the water damage and prevented it from reoccurring by sealing everything up and replacing any damaged spots. Tiffany went to work designing the interior on a budget. She couldn’t find any cheap fabric for the cushions, so she decided to recover them with inexpensive drop cloths and a staple gun. Didn’t they turn out great? 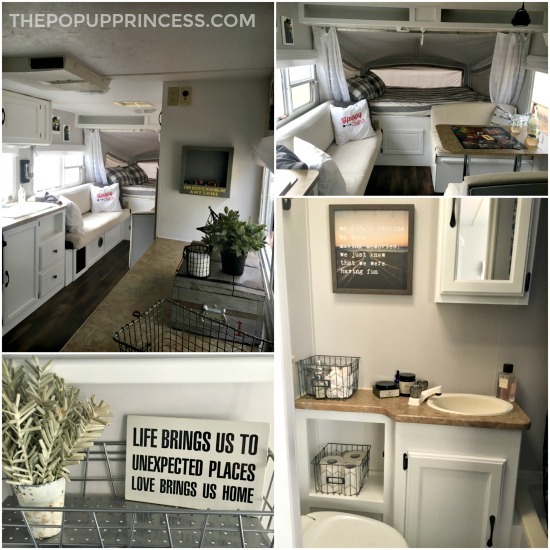 She painted the walls of the hybrid camper a light grey and gave the cabinets a coat of white paint. 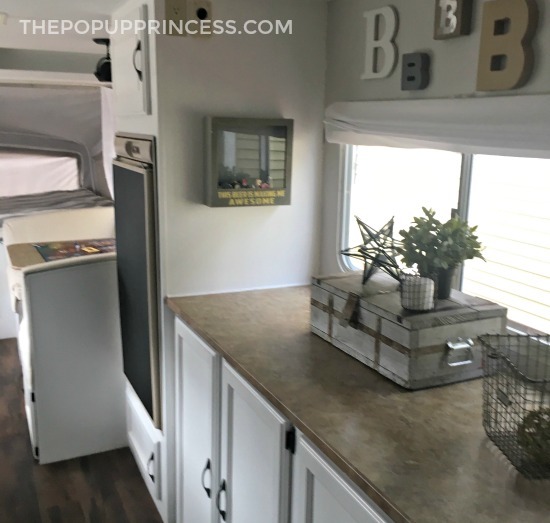 They loved the floors they installed in their pop up, so they decided to stick with the same flooring, an adhesive plank vinyl flooring from Lowes. Tiffany added a coat of chalkboard spray paint to the fridge, and the existing hardware got a new coat of oil-rubbed bronze paint. 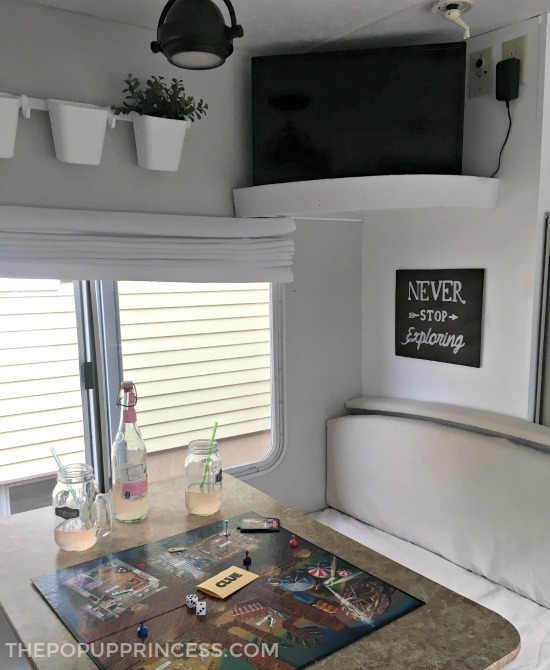 Tiffany and Chris also replaced the light above the dinette with a pendant style light that they found for under $20 at a local outlet store. They took down the ugly box valances, which made the windows seem so much bigger and brighter. Then they made roman shades from the old mini blinds and some clearance white fabric. 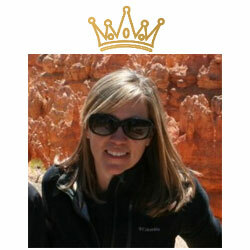 Tiffany found the tutorial on Pinterest, and says that while it was time consuming, it was totally worth it. In the end, they love how the remodel turned out. Tiffany says it’s so bright and airy, but most importantly, it feels like home. 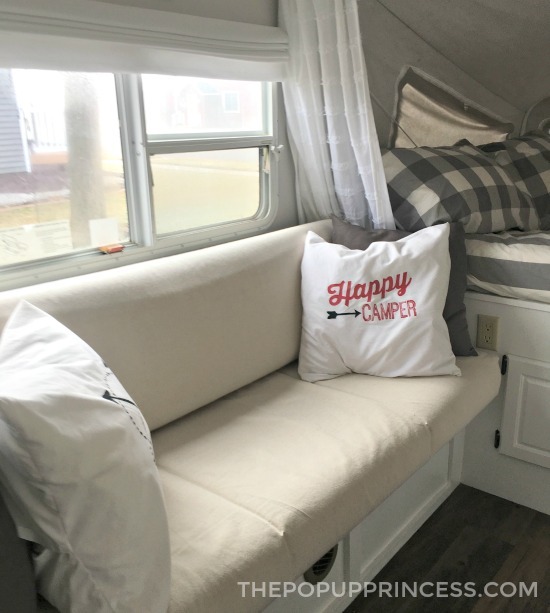 They are so happy with their new hybrid camper–they still have the tent camping feel of the canvas bunkends, but those extra amenities definitely make it the best of both worlds. Looks fantastic, doesn’t it? And just in time for their daughter’s birthday. Great job, Tiffany and Chris. I’m sure you’ll be making lots of happy memories in Dutchy. Thanks so much for sharing with us. Very well done. Great ideas. How long did it take for to paint all the cabinets and walls? What did you use on each?